Oral surgery is a medical term used to generalize many procedures that exist within a dentist’s office. Oral surgery aims at correcting your mouth and even your jaw. The term “oral surgery” may scare you into believing something that isn’t true, which is why our goal at Mint Dentistry of Woodland Hills is to make sure you feel comfortable with the oral surgery procedures we offer. A quick, painless comfortable procedure! Fast post op recovery times! Awesome staff all around! The front desk, the techs and the doctors are all so great! Made me feel comfortable and the doctor was very gentle, my implant was a breeze. We believe in providing our patients with care that is not only comfortable, but affordable as well. 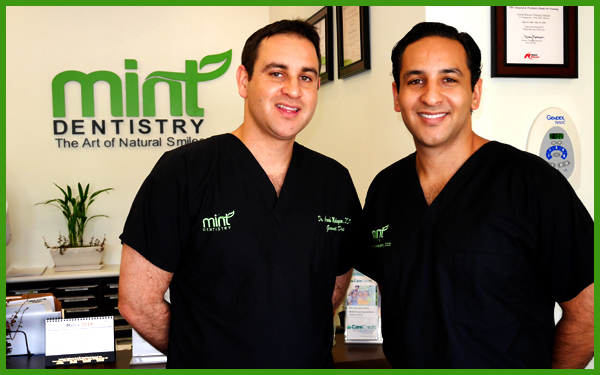 We have a dedicated team of dental professionals who have been in the industry for many years. Experienced dentists combined with the latest technologically advanced dental treatments allows us to provide you with outstanding dental care. Nobody likes living in pain or discomfort, which is what oral surgery attempts to fix effectively enabling you to be proud of showing off your sparkling smile. We would be happy to answer any questions or concerns that you may have about the quality-driven services we offer, or to set up an appointment for consultation. Call us today @ 818-716-0297 or simply fill out the CONTACT US FORM online.